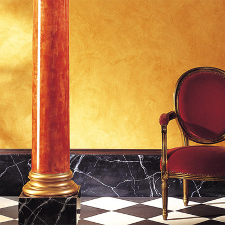 These stunning decorative columns from Orac Decor are ideal for bringing a classical or contemporary design to any space and are available as whole or half columns. These pieces also have a nice selection of mix and match plinths and capitals available, and with such a wide variety of pieces to choose from you're able to create a truly custom column that's exactly what you were looking for. Not only are these columns customizable, but they're stocked in our warehousing facilities in New Jersey and Arizona which cuts down on your shipping costs and means you receive the material when you're ready for it. 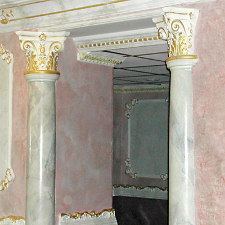 Installing elegant columns in your home has never been easier. Orac Decor's decorative columns are made of a strong polyurethane blend which makes them amazingly lightweight and easy to handle, unlike traditional wood or stone columns. These interior columns are easily installed with everyday woodworking tools and are primed and ready for paint, finish, or gel stain. These columns will add tremendous value to your home the minute they are installed. The use of high quality steel molds during the production process creates the finely sculpted lines and elaborate details of each column that is to be expected from Orac Decor. These refined, decorative columns are not only beautiful, but also feature classic European design at a fraction of the cost of traditional solid columns.